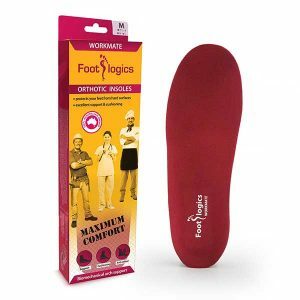 Walk pain-free with Footlogics orthotic insoles & thongs! 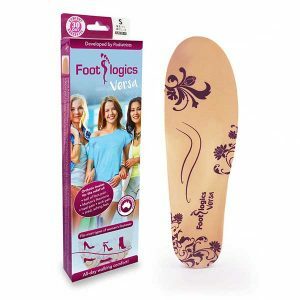 Footlogics offers a wide range of high quality orthotics and orthotic thongs. 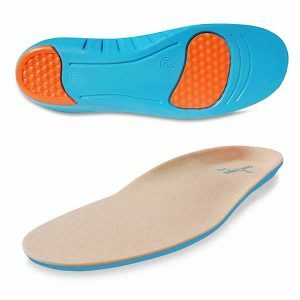 Our orthotic insoles provide excellent support, biomechanical re-alignment and cushioning at affordable prices. 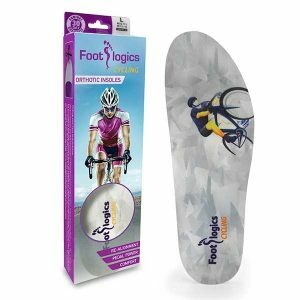 Footlogics products are dispensded by health professionals across Australia. 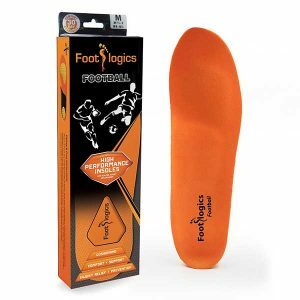 You can buy Footlogics products safe & securely from this webshop with a 90-day money-back guarantee. 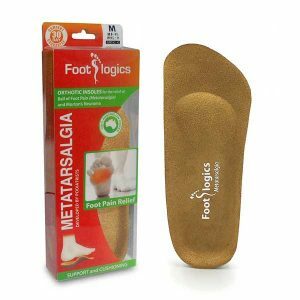 The insoles are also available from pharmacies and specialist shoe stores. Please see our list of Stockists. 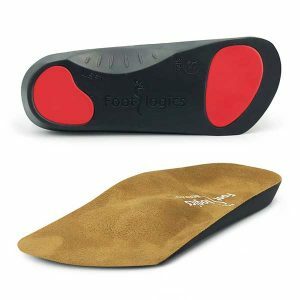 Why choose Footlogics orthotic insoles? 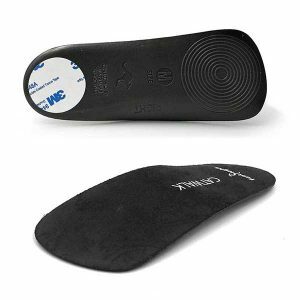 Orthotic therapy has been around for many decades. 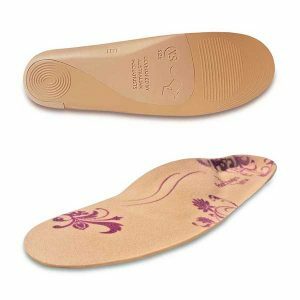 Up until the 1990’s orthotics were available as prescription-only devices, and they were custom-made by an orthotist or prosthetist, after receiving detailed instructions and a mould of the patient’s foot from a podiatrist. This method is still in practice today. In addition, there’s new technology available whereby the patient stands on a pressure plate to measure pressure points. 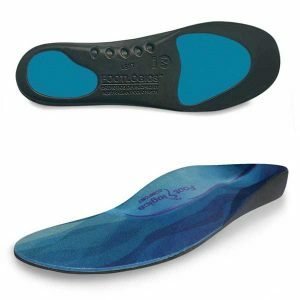 Based on this reading a software program will calculate where support is needed and a custom device is produced by a special orthotic milling machine. 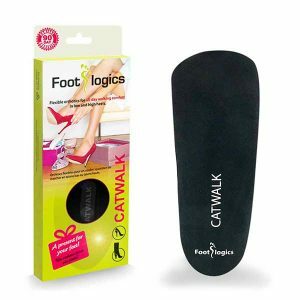 Gait analysis (by walking on a tredmill with a camera placed behind the feet) also provides useful information for the podiatrist, and helps them to dedect any foot anomalies, such as a flat foot (Pes Planus). 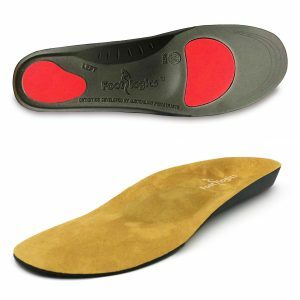 Pes Planus or flat foot is a well-known foot condition, but not as common as one would think. 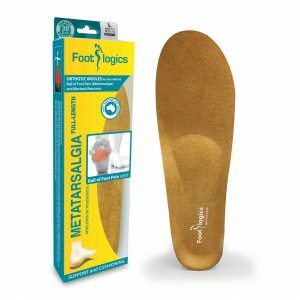 Very few people have completely flat feet (less than 5% of the population). 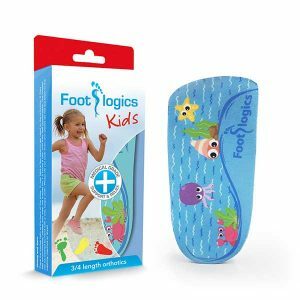 Flat feet are a normal condition for infants and toddlers, but by the age of 5 or 6 years the foot will start to develop a proper arch. 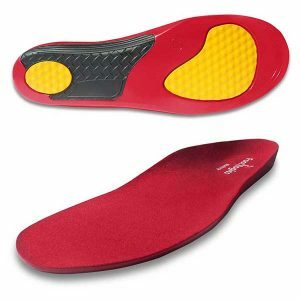 More common than flat feet is a condition called ‘over-pronation’. It affects an estimated 60-70% of the Australian population. 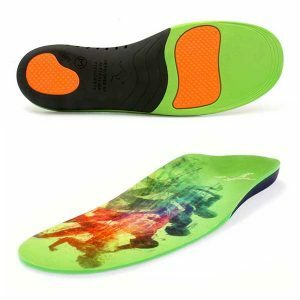 Excess pronation entails the lowering of the arches and rolling in of the ankle joint, during walking and running. 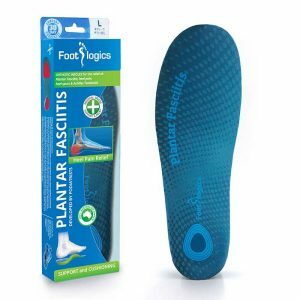 Excess pronation has a major effect on the biomechanics of our feet and is a contributing factor to foot complaints such as Plantar Fasciitis, Metatarsalgia and Achilles Tendonitis. 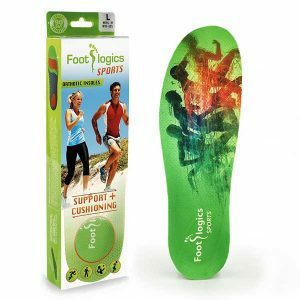 In addition, excess pronation may contribute to other common complaints such as Shin Splints, Runner’s Knee or low back pain. 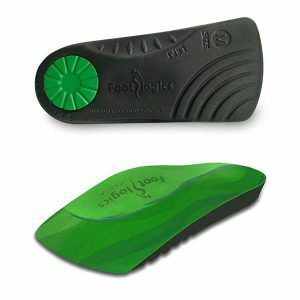 Footlogics orthotics – although not custom-made – greatly reduce excess pronation by re-aligning the foot to a more natural position. 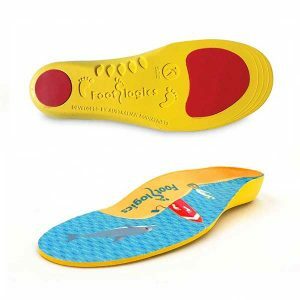 Over time the insoles mould to the foot’s shape, because of weight and body heat. 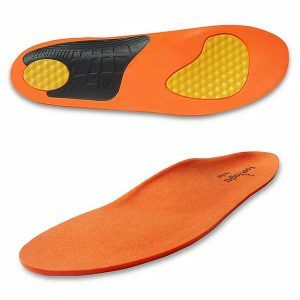 The insoles become more and more comfortable as time goes by. 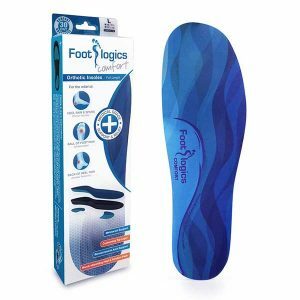 Therefore, in case of over-pronation a custom orthotic is not required to restore our natural gait. 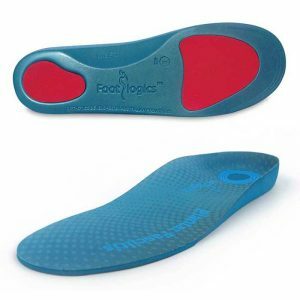 You can save a lot of money by choosing a pre-made orthotic such as Footlogics, instead of expensive custom orthotics. 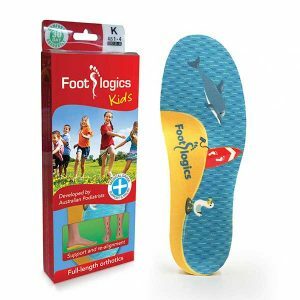 In particular custom orthotics for children may prove to be an expensive exercise, as their feet grow very fast. 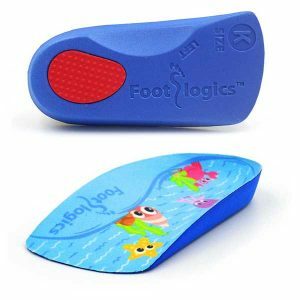 Footlogics Kids orthotics are a medical-grade device that help support little feet and can help prevent conditions such as Sever’s Disease (children’s heel pain) and Osgood-Schlatter’s (knee pain in children). 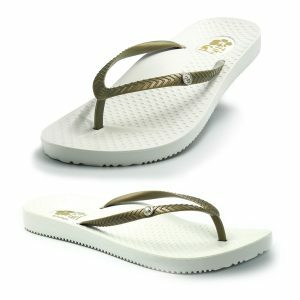 Orthotic thongs are very inmportant to wear at home or in summer when you’re not wearing shoes. We recommend that your feet are supported at all times. 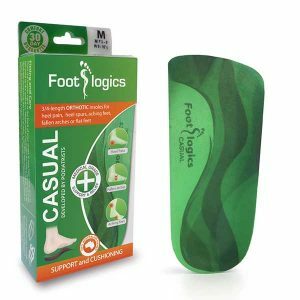 Going barefoot on hard surfaces like floors tiles can do a lot of damage to the ligaments and muscles in the feet and legs. 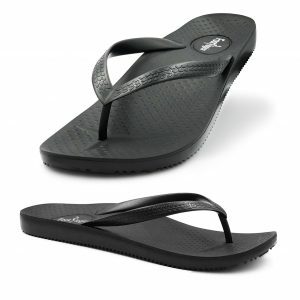 Normal flat thongs are not a good option. 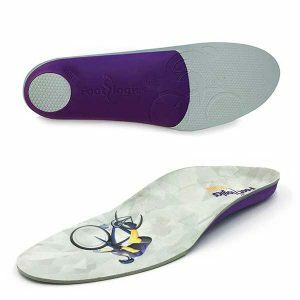 Wearing an orthotic thong means your arches are supported at all times. Another common condition affecting people with Diabetes is Peripheral Neuropathy: the loss of feeling in the hands or feet. This type of nerve damage can pose a real risk when small wounds, cuts or grazes on the feet go unnoticed and develop into much bigger ulcers. Foot ulceration is hard to cure and may lead in extreme cases to amputation. 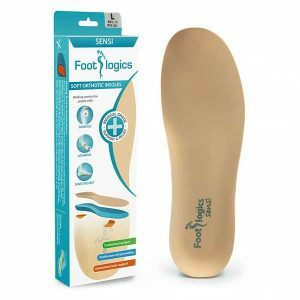 Footlogics Sensi is a unique footbed, especially designed for people with Diabetes to reduce the risk of foot ulceration.